Cowboy Action Shooting (CAS), sometimes known by the name of its primary governing body, Single Action Shooting Society (SASS), is half-shooting sport, half-costume event, and all fun. I’m not a CAS shooter myself, so I asked my friend Biloxi Bob to point me in the right direction, and helped me figure out how easy it is to get started with it. Come along on my journey! Thanks for the help. Bob! CAS is a multigun sport with pistols, rifles, and shotguns. 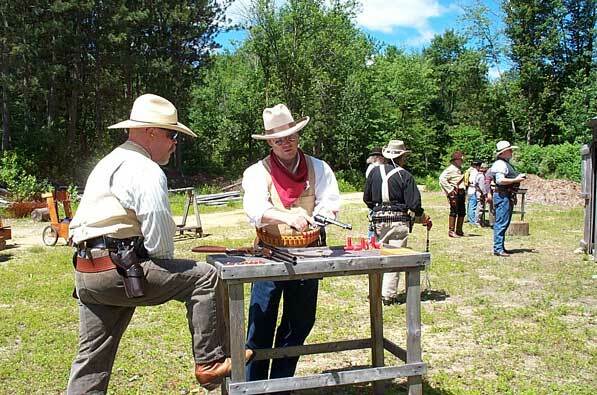 Unlike modern 3-gun, though, all of the guns are based on late-1800s designs, and shooters must wear period-correct clothing and accessories. What’s all that mean, and how can you get in on it? Read on to find out. The Single Action Shooting Society provides the rules and support for almost all Cowboy Action Shooting around the world. They also host national and world championship matches for the sport at Founder’s Ranch. SASS is the main governing body for most Cowboy Action matches around the country. 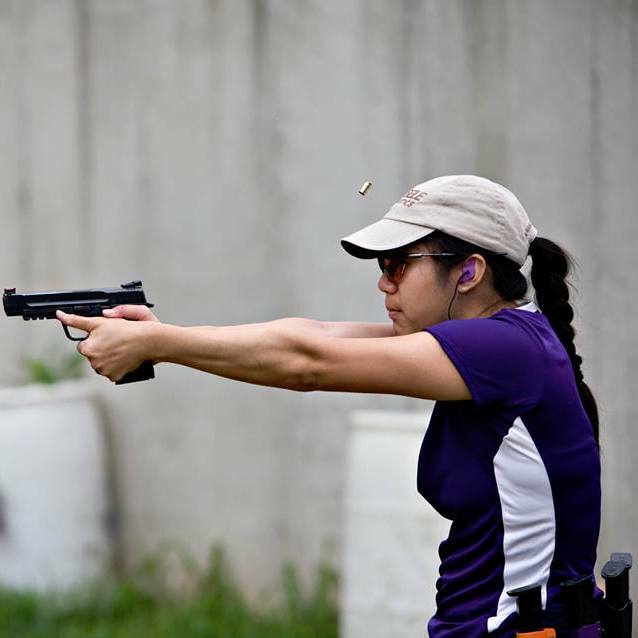 By being a member of SASS and shooting at SASS-affiliated clubs, you’ll get the benefit of having the same rules apply at every match, with perhaps some minor variations to account for the range where a match is held. But more importantly, SASS membership allows you to register your alias. That’s a unique name you’ve picked that is Old West in flavor. Nobody is allowed to use an alias that is too similar to somebody else’s, so you’ll be the only one known by that name. Choose wisely. There’s a big element of creativity and humor in aliases, and that’s a big part of the fun in CAS. Over time, you’ll find that you will use your alias for all things CAS-related and might not even know the real-world names of your new shooting friends. 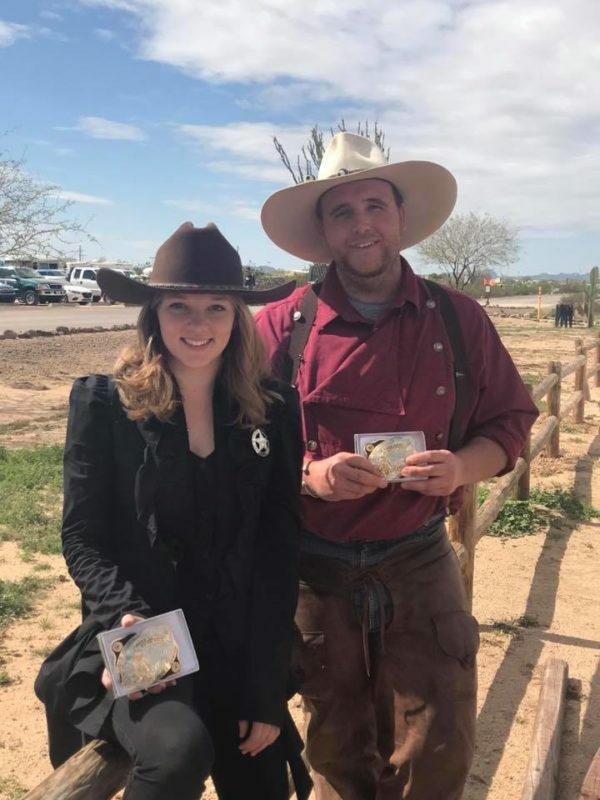 Active SASS members not only get their special alias, they get an actual badge, a subscription to the Cowboy Chronicle magazine, the right to shoot in special matches like state, regional, national, and world championships, and other benefits. You don’t need to join SASS right when you get started, but the sooner you do, the sooner you can become the new Cowboy or Cowgirl you. Regardless of whether you join SASS, you’ll want to hit up their website to find a club in your area. Once you find a local club, check on their website and reach out to their contact. You’ll want to know when their regular matches are held, and whether they run new shooter workshops or clinics to get people like you up to speed. Unlike some of the other shooting sports, it’s a good idea to watch a CAS match or two before you dive in. That’s because the equipment and rules are a little more complicated, especially for those of us who don’t have a lot of experience with all of the period firearms that are used. The best part about going to a match just to watch is that the experienced shooters there will almost always be happy to help you understand the game and help you get set up for your first time. If you stick around until the end of the day, they might even let you try some of their guns – possibly on an actual stage! If you can’t get to a match, though, at least watch a few videos beforehand to help prepare. Like other multigun sports, there’s a lot of gear you need for CAS – and most people won’t have all of it up front. Fortunately, you don’t need to go all-in for your first match, and may be able to borrow some of it in any case. First off, you’ll need the most important part: your costume! If you’ve ever been to or seen video of a SASS match, you know how elaborate shooters’ outfits can get. In fact, costume contests are a part of many of the larger matches. Fortunately, the rules don’t require costumes to be quite so fancy, and you won’t need as much when just getting started. Plain blue jeans, some sort of long-sleeve button-front shirt in plaid or denim, a leather boot (preferably cowboy-style, but a simple work boot will do), and a cowboy-type hat will do. Oh! And the guns. You’ll need guns too, since this is a shooting match. The general rule for CAS firearms is that they must be of a design that is from the late 19th century. Replicas and reproductions are allowed, so you won’t need to go antique-shopping or shoot an heirloom firearm to participate. For pistols, you’ll need not one, but two, single-action revolvers. 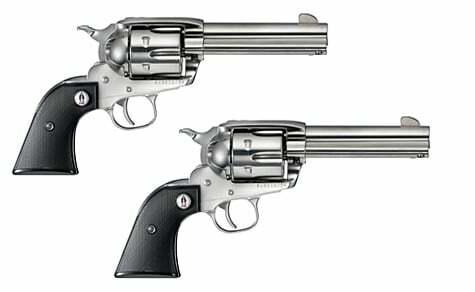 There are a number of great cowboy action revolvers out there….one common choice is the Ruger Vaquero ($649.00). Though you’ll of course not want to discount the classic Colt Single Action Army ($1,649.00). Why do you need two? Because instead of reloading pistols while shooting a stage, you’ll just holster the first one when you’re done with it, and draw the second pistol when you need to shoot more. You’ll also need a lever action rifle in a pistol caliber. The most common is an 1873 model, from one of several makers, like this one from Cimarron called the Texas Brush Popper ($1,300). Another common choice is the Winchester Model 1892 ($1,100). ED: If you’re looking for a more budget-minded rifle, the Marlin 1895 Cowboy ($560.00) is an excellent choice. And finally, you’ll need a pump or double-barrel shotgun from the right era. For pump guns, most found in CAS are based on the Winchester Model 1897, like this one from IAC Imports, if they aren’t originals. But of course, part of the fun of CAS is getting to buy really fun guns and competing in it is the perfect excuse to finally buy that side-by-side double-barrel shotgun. Like a Stoeger Coach Gun, perhaps? You know, because reasons. After all, CAS is very much about the fun, and there’s not much more fun than a coach gun! In addition to the costume and the guns, you will need a few other things early in your CAS career. As in other action shooting sports, you’ll need some way to hold your pistols – a holster for each of them. 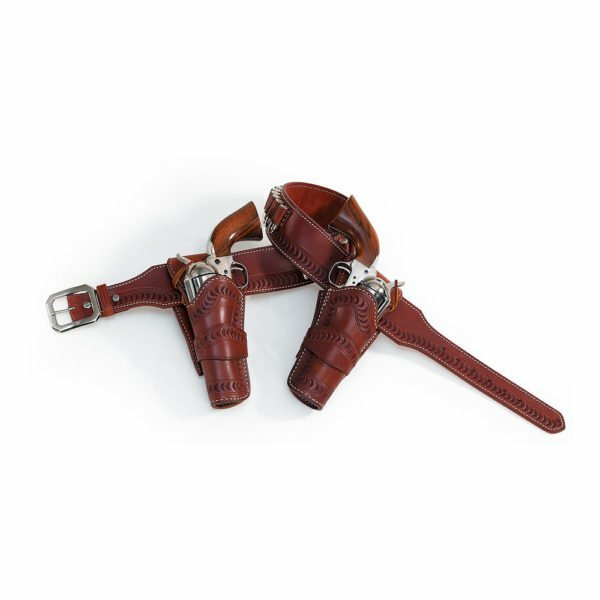 Most leather holsters are fine as long as you keep in mind the spirit of costuming for the Old West and as long as they are rigid enough for you to quickly and safely reholster your guns. You can buy them from a variety of local makers or go to one of the national companies like De Santis or El Paso Saddlery, who makes this lovely set here. There are various options on how you can set them up, whether both on your strong side, one on each side of your body, or one strong side and one set up as a cross draw. You’ll just want to be careful to make sure that drawing the gun doesn’t lead to you breaking any safety rules. 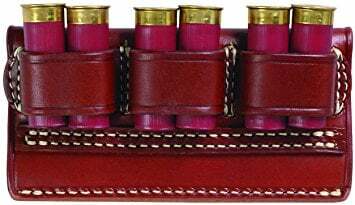 If your belt doesn’t have a way to hold shotgun shells, you can put them in your pockets for your first match. Eventually, you’ll need either a separate shotgun belt or a shell carrier. 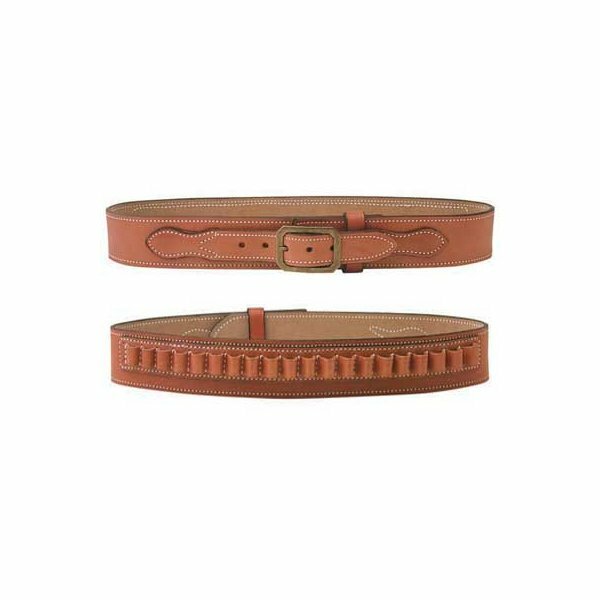 Shell carriers are also known as “slides” because they slide or snap on over your gun belt, like this one from Triple K below. And finally, you’ll want some way of hauling all of your gear around the range. 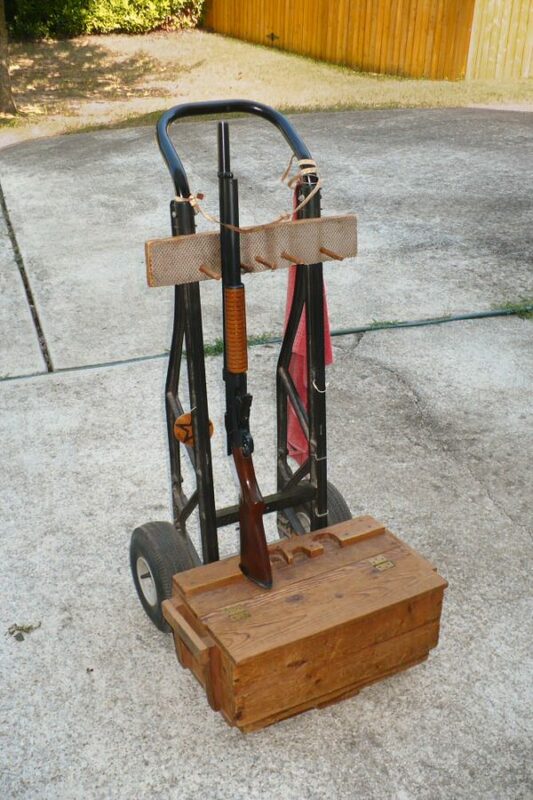 Like modern 3-gun, wheeled carts are very common. Unlike modern 3-gun, CAS carts can get a little elaborate. The important part is that they can carry your rifle and shotgun upright and with the actions visibly open. You don’t have to buy a specialty one, and might even be able to make your own like this person did. And don’t feel like you need one to show up at your first match. If you’re new, someone will share with you – it’s just another part of the welcoming atmosphere at a SASS match! SASS is unique in that the guns are generally similar for everyone. Shooters are divided up into categories by gender, age, and shooting style instead, outside of the folks who choose to shoot black powder or cap and ball firearms. Most competitors will compete in the Cowboy/Cowgirl categories, which cover nearly all adults. Older shooters can choose to enter categories available only to those over a certain age, or they can compete in Cowboy/Cowgirl instead. 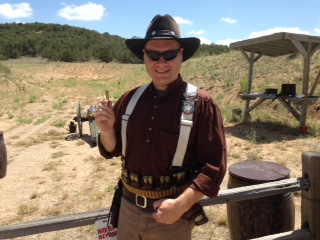 As for shooting style, most people will shoot with each pistol held in both hands….but this is cowboy shooting! You can also choose to shoot with just one hand, called Duelist, one-handed with both hands (Double Duelist), or Gunfighter, which is shooting with one pistol in each hand at the same time and alternating between the two. Are you confused yet? That’s okay. Most local matches where you’ll start out have only a handful of categories. Just show up with your gear and someone will help you figure out where you belong. There’s somewhere for everyone to belong, regardless of age or gender, whether you’re there to enjoy shooting the guns or wearing the costumes. That’s one of the best things about the sport. While you don’t need to be an expert shooter to play in CAS, you do need to have some basic skills before you show up to your first match. Most importantly, you will need to know how to operate each of the guns that you’ll be using. While some of us grew up shooting single-action revolvers, lever action rifles, and pump or side-by-side shotguns, those of us who are newer to firearms may not know as much about them. Either way, some dry fire practice will help you get familiar with your CAS guns, especially with thumbing the hammer on your revolvers, working the lever on your rifle, and loading your shotgun. Under some of the SASS divisions, which we’ll talk about later, you might also need to shoot your revolvers with both hands. Otherwise, you’ll need to be able to draw both of your revolvers and get them into your primary shooting hand. That takes some practice as well. Knowing how to shoot each individual gun isn’t enough for CAS, since you’ll have to shoot all of them in any single stage. That’s why knowing how to transition between the guns is also important. As a first-time shooter, the most difficult skill will be safely drawing and reholstering your pistols on the clock. Doing it under pressure, with a timer running and people watching, can make it easy to make mistakes like leaving your finger in the trigger when reholstering. To avoid that, remember that you don’t have to be fast, just safe. Your long guns, rifle and shotgun, will be staged on tables, so you will only need to pick them up and put them down when you are done with them. However, while your rifle will be preloaded, you will need to be able to load your shotgun on the clock. The usual gun safety rules always apply, and the SASS rules build on them in the safe direction area in particular. They use something called a “170 rule.” Much like the “180 rule” in other shooting sports, the 170 rule controls how far a muzzle may deviate from pointing straight downrange. With the 170 rule, your gun must stay pointed within a cone centered on the line between the shooter when facing the back berm of the range and extending 85 degrees on each side from that line. SASS also is very particular about the loaded and unloaded condition of your firearms. You may only load when you are told to, and only at what is called a loading table. There’s one at every stage, and there will be someone there to supervise you when you go through that process. After you are done loading, you must make sure that the hammers on your pistols and rifle are down on empty chambers only. That means that your six-shot revolver will only be loaded with five rounds, to allow the hammer to go down on an empty chamber. Your shotgun will remain unloaded until after you start the stage. Are you starting to see why a little bit of knowledge and experience in running your guns is important for this shooting sport? It can be challenging to keep track of all of the rules about what condition your gun is in if you aren’t familiar with its operation. Fortunately, the rules for the shooting part itself are much simpler. After you have prepared your guns at the loading table, you’ll hang out there until it’s your turn to shoot. After you’re called up, you’ll stage your rifle and shotgun as directed, then get ready to go. Range commands in CAS are similar to what you’ll find in other shooting sports: “Shooter ready?” “Stand by…” and then the mind-erasing beep. While you’re shooting, three spotters will watch to make sure you’ve hit all of the targets in the correct order. When you’re done, the timer operator will check with them to see if there were any issues. If not, they’ll hold up a fist to indicate that you shot a clean stage. If the spotters disagree, the benefit of the doubt will always go to the shooter. After that, you’ll go to the unloading table to unload all of your guns, again under supervision to make sure that your guns are completely empty and clear of any ammunition. Confused? Make sure you tell your posse marshal, the person who runs your squad – sorry, posse in CAS parlance – that you’re new, and he or she will help you out along with all of the other experienced shooters in your posse. While CAS is a shooting competition, it’s very much focused on the fun. Even at bigger championship matches, prizes are usually trophies and bragging rights, so while they are winners, coming out on top is only part of what drives a CAS competitor. If you miss any of the targets, or shoot them out of order, then you will receive a penalty in the form of time added to how long it took you to shoot the stage. Misses, when you don’t hit the target with the right firearm or at all, add five seconds. Shooting targets in the wrong order or committing minor safety violations will earn you an extra ten seconds per stage. Major safety violations will disqualify you from that stage or possibly the entire match. Once all of the times and penalties are totaled up, then there are two ways a match winner can be determined: lowest time for the entire match, or “rank scoring.” Rank scoring is when each shooter receives the number of points equal to his or her placement on a stage – fastest time gets one point, second place gets two, and so on. Lowest total number of points across the match wins. All of the targets are reactive in some way, usually some form of steel in themed shapes that can be heard or is knocked over when hit. Clay birds may also be used, both stationary and flying. Targets are normally placed very close to the shooter – usually between 12 and 20 yards for rifle, and around 7 yards for pistol. These are extremely close distances for steel targets, so safety is maintained by carefully angling targets down to encourage any ricochets or splashes to bounce towards the ground and controlling the ammunition used. All ammunition must be either lead or polymer-coated in any color but gold. That’s because no jacketed, plated, or copper-washed bullets are allowed due to the potential for fragments to come back towards the shooter and others. 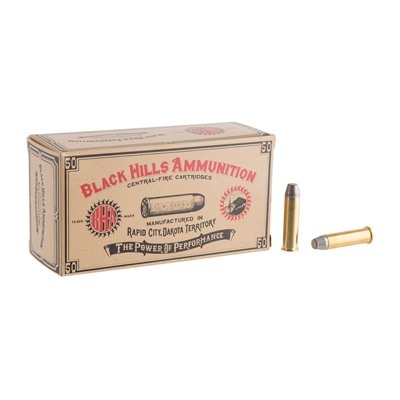 Fortunately, there are commercial loads available like this Black Hills .357 Magnum ammunition, so you aren’t required to reload to shoot CAS. In addition, ammunition is generally loaded to a very low velocity for CAS. Unlike almost every other shooting sport, SASS doesn’t just have a minimum power factor, it also has a maximum power factor. Slower moving bullets don’t just recoil less, they tend to ricochet less off steel. By the way, you won’t need very much of that ammunition. SASS stages are normally just 10 pistol rounds, 10 rifle rounds, and 4-6 shotgun shells. It’s another way of keeping the sport accessible, both in terms of stage complexity and ammo affordability. Just make sure you bring extra to every match, just in case! And that’s everything you need to know to get started…and then some! Just remember that Cowboy Action Shooting is very much about the fun, so get into the spirit of the game, pick out an alias, find a costume, and go have a blast! Are you interested in Cowboy Action Shooting? Is there some other competition you want to know about? Let us know in the comments! The editor added a bit about an 1895 Marlin being a budget option. This is a poor edit and should be removed. The .45-70 is not a legal round for SASS main match (it’s legal for “rifle” side matches) so your budget option will require you to buy another rifle which is the opposite of “budget”. Just seems like a misleading thing to put in an article written for new shooters trying to learn about CAS.